I took a few photos last week in the Lincoln Square area near Winnemac Park. There has been low inventory of single family homes for a couple years. But, there are still many new and ongoing projects that remind us of the swift sales and big investment in Lincoln Square housing. 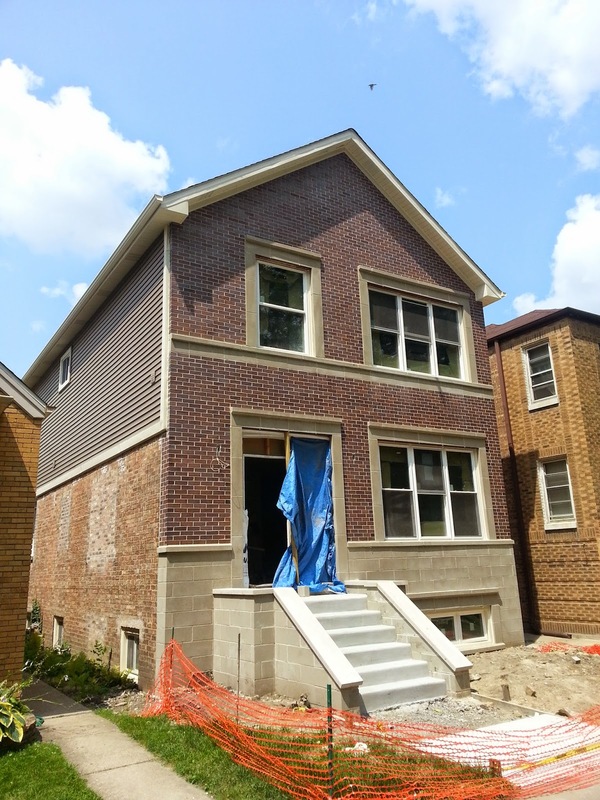 A gut renovation and expansion of a home near Winnemac Park is ongoing. The existing property was bought by a developer to renovate and sell. Unit sales were down year over year from 2013. But inventory is low and competition fierce for available houses priced for this market. 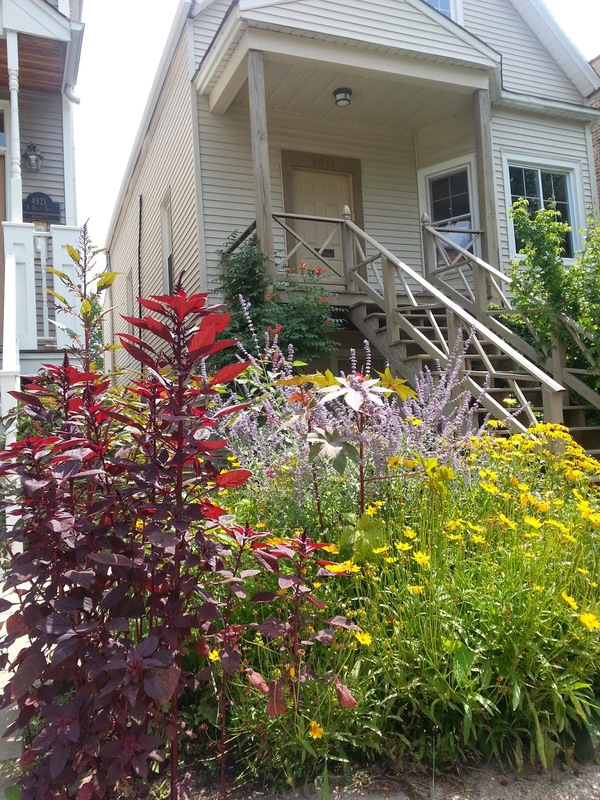 54 single family homes have been sold in Lincoln Square community area so far this year (Jan 1st to August 1st). The median price for the Lincoln Square area is about $550,000. 71 homes sold over the same period in 2013 with a median price of about $545,000. The highest MLS recorded sale this year in Lincoln Square is 2015 W Giddings for $1,945,000. The new construction luxury home is built on a 37 ft wide lot. The lowest MLS recorded sale is 2220 W Foster for $258,100. The foreclosure home is located on busy West Foster and needs complete renovation or tear-down. 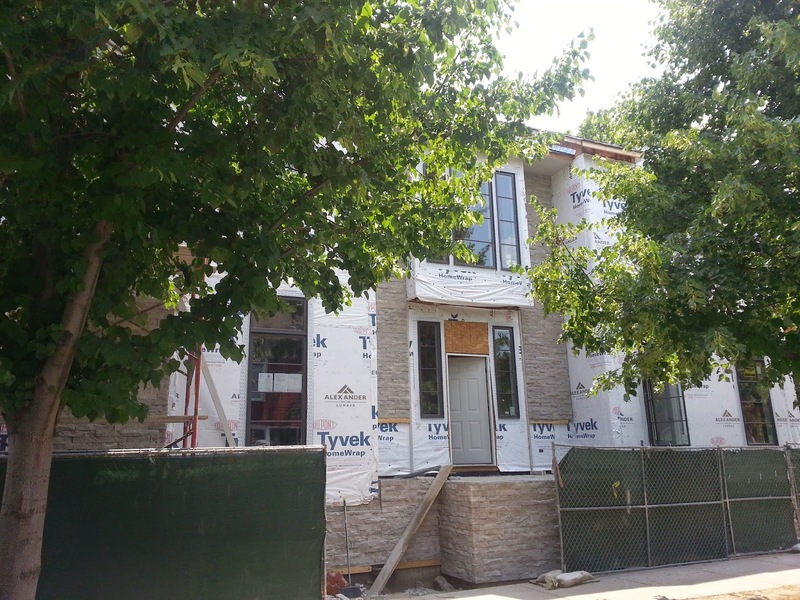 A large new construction home being built at Ainslie and Bell west of Western Avenue in Lincoln Square. The previous property was bought at $450,000. 34 of the homes closed east of Western Avenue in Lincoln Square with a median price of about $650,000. 18 homes closed west of Western Avenue with a median of $495,000. We've been buying, selling and renting homes in Lincoln Square for almost 10 years. Call us to make a move. All stats gathered and analyzed by Eric Rojas, Real Estate Broker, Kale Realty from MREDLLC.com.